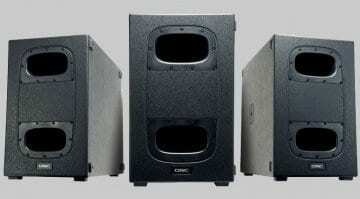 Marketing fodder or genuine upgrade for the QSC K Series? 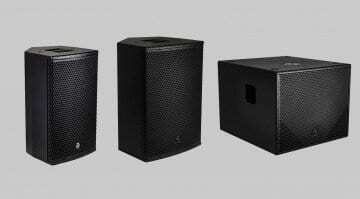 The K Series from US pro AV manufacturer QSC have become some of the leading active PA speakers available. Originally known for their high output thanks to their Class D power amp and some DSP wizardry, the K Series still deliver plenty of bang-for-buck. With the arrival of the K.2 series, I’m sure these boxes will continue to be successful. But are they really telling us the whole truth? I’ve used several of the K Series units, each usually leaving me surprised by their performance, considering their size and apparent low weight as well as their price point. I’m not usually a huge fan of DSP compensation for stretching out the performance of a speaker, especially in terms of power, but I think the K Series receives more criticism than they’re due. When they first arrived over 5 years ago, they achieved quite remarkable amounts of level, particularly from the K8, whilst the sound was still clear and punchy. In this second generation, there are apparently several new features and performance enhancements. These include more powerful DSP, an LCD display, Hi-Z inputs, 3-channel mixer, 3.5mm mini-jack input, dual pole-cup, and the 8″ K8.2 can now be used as a floor monitor. However, the biggest news which QSC are very proud to announce is the increase in power. 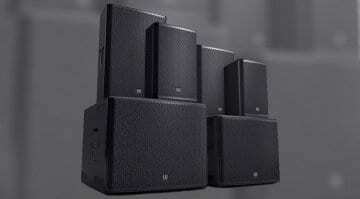 They quote the “K.2 amp has over twice the Peak power” compared to the current K Series. According to my own research, that’s with a value of 2000W peak power, which the original K Series also offered. 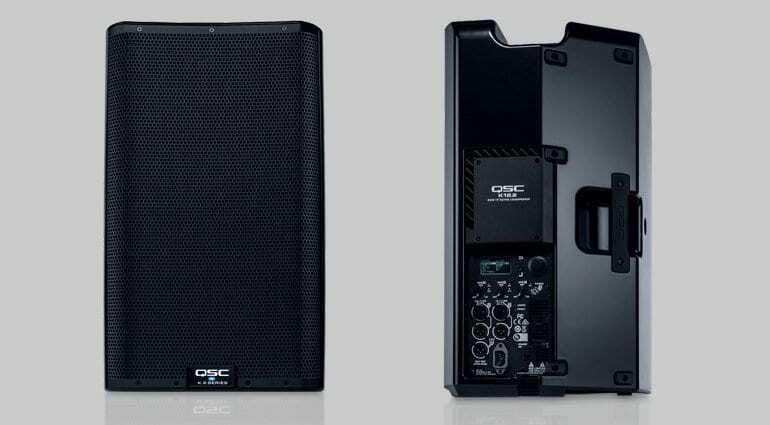 Previously, QSC quoted the ‘continuous’ power rating of the K Series to be 1000W, with a peak of 2000W. Losing consumers in terminology isn’t clever in my book, but I can see that the new distribution of power between HF and LF drivers looks more efficient. In turn, I’m sure the result will be more impressive. But how impressive? We will have to wait and see. 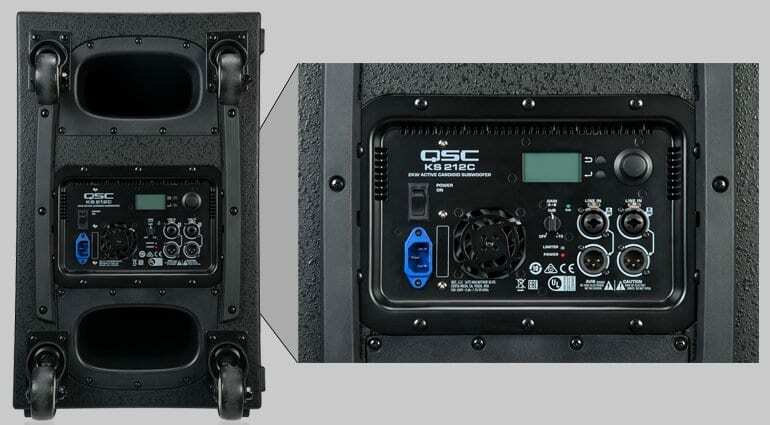 Along with these updates, QSC are also adding to the K.2 product line with a dual 12″ cardioid subwoofer. The KS212C is apparently the ‘first in class’ as an active cardioid sub and features dual 12-inch long-excursion drivers, powered by a 3,600 W amplifier. This looks like a great addition to the family and it’s good to see features such as the four casters as standard on a product in this sector of the market. According to QSC, the K.2 Series will be available in select markets in mid-May 2017. Estimated US street prices are 649.99 USD for the K8.2, 699.99 USD for the K10.2, and 799.99 USD for the K12.2. The KS212C cardioid subwoofer is expected to ship in late Summer 2017 with an estimated US street price of 1,399.99 USD. For more information, visit the K.2 Series webpage. QSC have also published a page providing details of the differences between the original series and this K2 Series. Including some FAQ’s, this pdf provides more detailed information to those already familiar with the K Series. 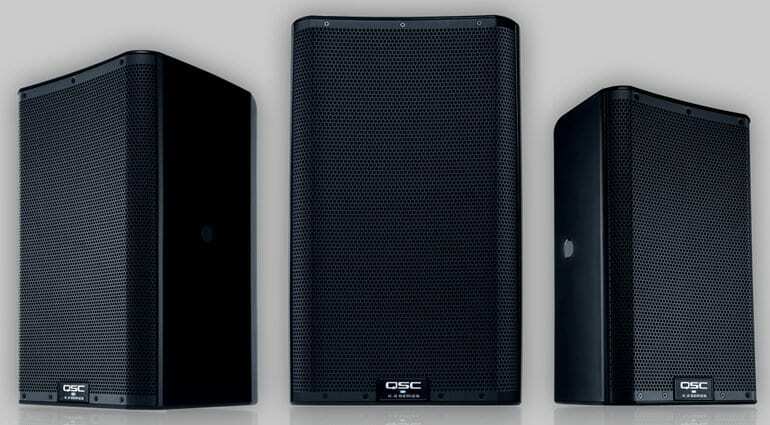 Here’s QSC’s introductory video for their second generation K Series active PA speakers. Outlining only the basic facts, this video is from their QSC YouTube channel. I really don’t like how big QSC is on terminology and advertising. 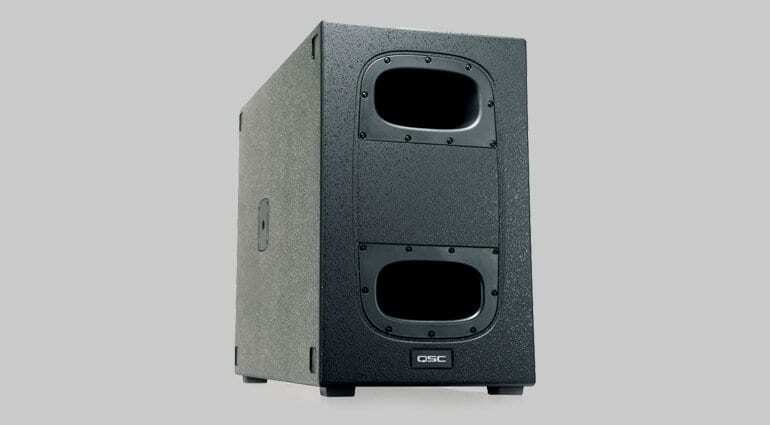 For so long I have been really disappointed that the Yamaha DXR speakers haven’t been more popular, mostly due to the amount of advertising money QSC spends.